Meal planning is essential to eating healthy, and as every kitchen savvy cook knows, clever menu planning can also save you time and money. If your family is transitioning to a healthier lifestyle, a few hours on the weekend cooking up a storm can reboot your food shopping and make planning healthy meals a stress-free event! Menu planning doesn’t have to be complicated. 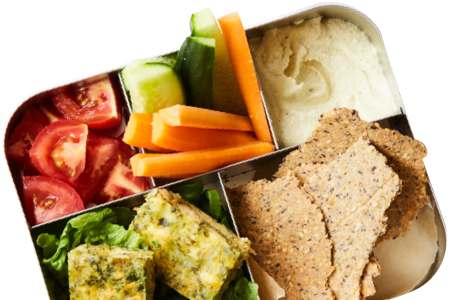 Focus on recipes that use similar ingredients and are multi-tasking meals’ – meals that can be used to make nutritious and simple lunches the next day. Beef and Veggie Meatballs: serve for dinner and then send to school in a thermos with mashed sweet potato or quinoa pasta, or place in a bento style lunchbox with veggies. Homemade sweet potato pizza: perfect for a lazy Sunday night dinner, and then send to school the next day cold. Baked salmon: serve with homemade oven baked fries for a mid-week dinner, and then mash up the leftovers with a good quality, preservative-free mayo and send to school in a wrap. Cauliflower, Chia and Cheese Falafels: a delicious and versatile tummy filler then save the leftovers and send to school in a wrap, or on their own in a well-insulated lunchbox or thermos. Boiled eggs with sourdough toast soldiers: a go-to dinner for busy families. Boil extra eggs and send to school the next day in fun egg molds, or mashed with tzatziki as a sandwich filling. Roast chicken: who can look past an old fashioned roast dinner? Save leftover chicken and shred or cut into small pieces and add to buckwheat pasta for a tasty and nutritious chicken pasta salad. Having a list of go-to meals is one of the easiest ways to expedite the meal planning process. Consider trying one or two new recipes a week and use a few old favorites to fill in the gaps. Every time you find a new meal that you love, add it to your rotation. Grab a pen and paper, write the days of the week across the top and the meals for which you need to plan down the left-hand side. Now you’re ready to sketch out your weekly eats. The best way to ensure your kids stick to the menu planner is to get them involved and encourage each family member to choose a favorite dinner for the week. Use your menu planner to create your shopping list – planning ahead will ensure you have all the necessary ingredients on hand for the meals you intend to serve. This will not only save you time in the long run and reduce the amount you spend on weekly groceries (no last minute dashes to expensive ‘convenience’ stores to purchase a missing ingredient), but will also allow you options to rotate meals throughout the month. The key to meal-planning success is to start batch cooking. A few hours preparation on the weekend will guarantee you a freezer full of healthy, home ‘convenience’ foods. 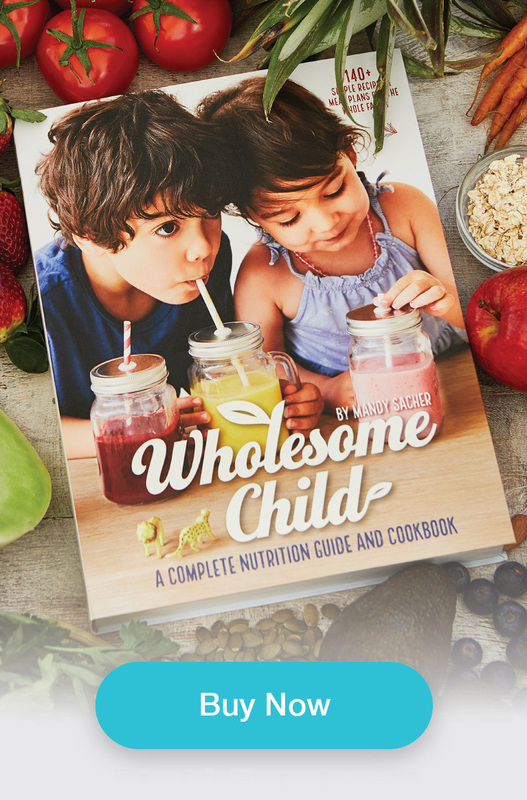 Many recipes (including all the recipes in The Wholesome Child: A Nutritional Guide with More than 140 Family-Friendly Recipes) are suitable for freezing, so double (or triple!) the quantities and freeze the extra portions. If you do this every week for a couple of weeks, your freezer will begin to fill with wholesome meals for the days you haven’t got time to cook. It’s not just family dinners that can be prepared in advance. My kids love Pear and Raspberry Muffins and Salmon and Millet Rissoles, so I always double the batch and freeze some for school lunches during the week. When roasting vegetables or steaming cauliflower, make extra for the next night’s dinner or to use in Sweet Potato Pikelets or Cauliflower Pizza. When chopping vegetables, chop extra veggies sticks. They can be stored in the fridge for 2–3 days in an airtight container. Cooking whole grains can be time consuming, so plan ahead and double the portions you are cooking and place the extras in the freezer. Cooked grains such as quinoa, brown rice and even millet can be frozen. Freeze and reheat as needed. Do things fall apart on the weekend? Avoid the constant nagging for sweets and candy by preparing batches of your kid’s favorite healthy treats and store them in the freezer. Great options include Banana Bread and Chocolate Almond Scones. Like any new habit, menu planning gets easier with practice. Over time, you’ll figure out the best tips and tricks that work for you and your family.